This pristine and highly upgraded San Benito model is available turn-key furnished. Exquisitely appointed with very few exclusions, this owner has upgraded the HVAC to a more efficient system with low energy bills. 18 inch tile flooring, plantation shutters throughout and garage built-ins. This granite kitchen has newer stainless appliances (2 ovens), a 5-burner gas stove-top, French door refrigerator, and wine fridge. Note the custom Murphy bed in the hobby room and built-in sewing table. There really are too many additions to list. The professionally landscaped yard is an entertainers dream. There is even a Golf Cart available or you can walk to the Clubhouse. 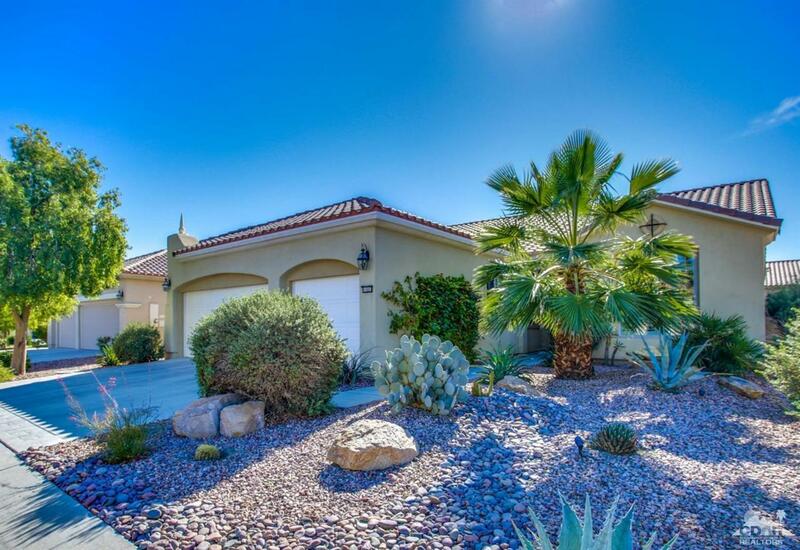 You'll definitely want to see this home before making any decisions in Shadow Hills. Listing provided courtesy of Connie Kashkawol of Hk Lane Real Estate.